BI is introducing this new program with wonderful opportunity for professionals to learn from renowned architects and thought-leaders, in the form of intense activities, discusisons and workshops. 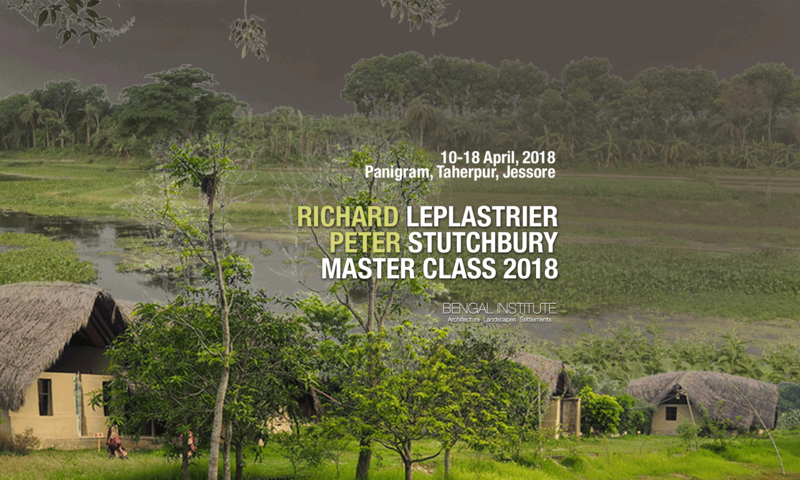 The inaugurating program featues the two Australian stalwarts Richard Leplastrier and Peter Stutchbury, to be hosted at the beautiful site of Panigram in Jessore. The Bengal Institute for Architecture, Landscapes and Settlements is a unique, transdisciplinary forum for the study and design of the environment, based in Dhaka, Bangladesh. As a place for advancing the understanding of the lived environment, the Bengal Institute presents a platform for developing ideas and programs to improve the qualities of architecture, landscapes and settlements. In generating a critical, creative and humanistic dialogue, the Institute proposes an integrated approach to the arrangement and rearrangement of the environment. Innovative transdisciplinary programs of the Institute will integrate architectural and design research, investigation of cities and settlements, and the study of larger regions and landscapes.